Dobo, is a town located on Wamar Island (part of the Aru Islands) in the eastern part of Indonesia. For many, it may seem to be a long way out of the way, but for Jesus, it is very much on the map. To get there, several of our team members, including myself flew through the night from Jakarta to Ambon, Indonesia. After an hour’s rest, it was on to Dobo. We were quite exhausted but full of anticipation. Walk with God long enough and you will find that even when your body is tired, expect faith still rises. We do not go on our own strength, but in the strength of the Lord. How I wish you could have come along with us! …to see Jesus in action and experience a God’s passion for souls to be saved. This island is widely known as a stronghold of witchcraft in the Aru Islands and Irian Jaya (the Indonesian side of the large island of Papua). Possibly as a result, our ministry partner, Reverend Hendrik Sarioa was facing serious family loss during the time of our preparation. Also, a prayer team was sent to the island two weeks before the event. While praying in a particular village, they suddenly found themselves surrounded by local villagers aiming bow and arrow at them! “We do not want any other religion here” they said, and told them to leave the area at once. Even paying the bills for this Hope Festival was difficult. Some funds were wired from our Singapore bank to pay for the many expenses but it did not arrive. This greatly affected the advertising for the event. It also placed an initial strain on the relationship with local churches in Dobo. The churches had to work harder and smarter to publicize. We could also only purchase “one way” tickets to fly into Dobo, leaving it uncertain that we could get out! (I did not tell my friend from Singapore who had accompanied me. 😉 For three weeks we prayed and made phone calls until the money arrived on the final day before we had to depart. 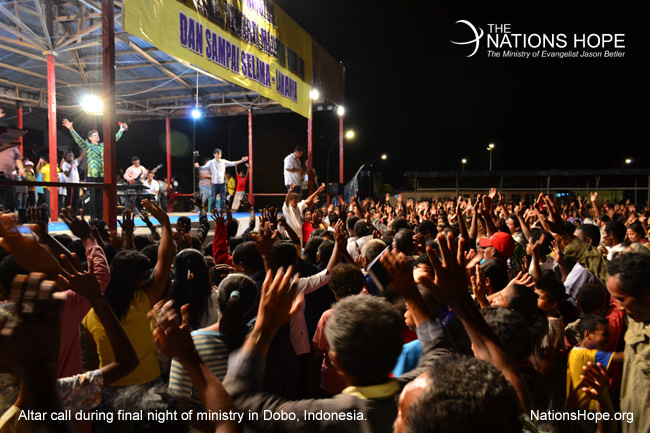 The evening meetings were powerful times of gospel proclamation and life transformation. For four nights, 6-9 November, Dr. Hendrik Sarioa and myself (Jason Betler) preached with all our hearts. The lost were called to repentance and faith in Christ. We prayed blessings over Dobo, boldly prayed for the sick and believed God to confirm His word. …He did. 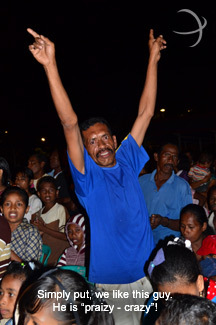 More than 3,000 people gathered together for the first evening meeting. The weather was hot and sticky and the good news was the same; we preach a fiery gospel that sticks to the heart! The response to God’s offer of salvation was good. Many people were born into the kingdom of God. 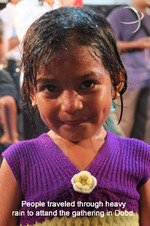 Each night would yield a strong harvest of souls for Jesus. Pouring rain plagued both the second and third nights of the four-night open-air campaign. …but it did not stop us. The meetings were up to 90 minutes late in starting. Typically this would have been a big problem until you look and realize that only 20% of adults wore a wrist watch. (It is better to manage time by watching the “sun and the fun” rather than be tied to a dial.) After waiting until the rain subsided, the people came and we preached. Thousands continued to come each night. Altar calls are the most precious time for me. In a short matter of time, lives are changed to live for eternity. When the call to salvation is given, the open field becomes God’s maternity ward. His family grows as people are born into His family forever. If anyone dared to disrupt the maternity ward at a hospital, they would likely be removed from the premises. No apology would be necessary. Babies being born is a sacred moment for every family. The devil tried his best to interrupt. One night on which we had waited through much rain (night number two), I went ahead and preached a powerful message on repentance. I seemed to feel the anointing even while I was preaching myself! We prayed the prayer of salvation but were distracted by another downpour of heavy rain. Umbrellas were raised while I prayed a quick blessing. Both counselors and new believers RAN for shelter as soon as they heard me say “Amen!” Still, we pressed on. The final night boasted the largest attendance. Roughly 3,500 people assembled together. The weather was perfect. The crowd was attentive. Special music from a childrens’ choir as well as a choir in traditional dress opened the evening. I preached a powerful message of salvation ; warning the people that Satan’s scheme is to distract and prevent you from coming to Christ. “Come. Come now!” The atmosphere was magnetic. Then, just as I was about to call them to Christ, about 30% of the crowd ran to the back of the field! It turns out two drunk men had gotten into a brawl. Local police had to get involved. Nevertheless, we preached onward and reaped a harvest of souls. Satan will do all He can to keep people from finding salvation in Christ. He will also do all He can to distract the church from its all-important-task of soul-winning. We must speak and preach with urgency. It is time to work quickly. Satan is committed to stealing people away from Jesus because Jesus has committed his life to saving them. If saving people is the first priority of Jesus, it must also be the utmost priority of his people.